Have you been "Megan Markled?" 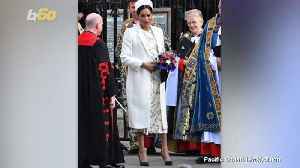 Duchess Meghan skips Royal Family's Easter Sunday Service The service fell on Queen Elizabeth's 93rd birthday, and she was surrounded by her Royal loved ones to celebrate. 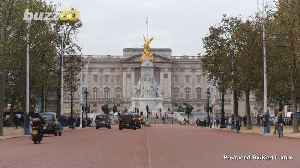 Prince William, Duchess..
Kensington Place is addressing the reported feud between Prince Harry and Prince William. Social media can become toxic platforms for everyone, including major stars. 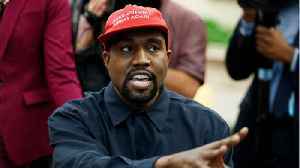 Here are some celebrities who quit using social media. 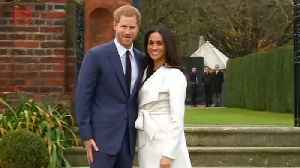 Prince Harry and Meghan Markle wed in Windsor and had their reception at Frogmore House. Now, for the first time the house is opening to the public. Keri Lumm reports. 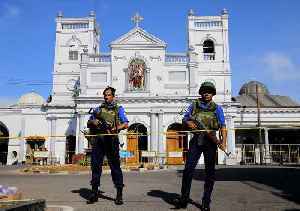 These are the headlines you Need 2 Know for Monday, Apr. 22, 2019. 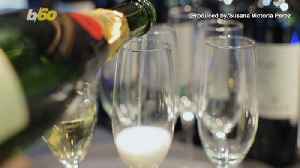 Channel24 reports that it is almost time for Harry and Meghan to welcome their first child, a royal baby. 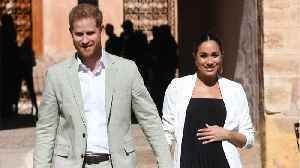 It is unclear whether or not the Duke and Duchess of Sussex have opted for a home birth or.. The 13th video in our ‘Royal Baby Countdown’ shows Prince Harry in Victorian page boy attire as he attends the wedding of his Uncle Charles Spencer. Report by Carrf. 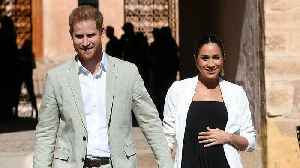 Like us on Facebook at..
Cape Town - Are Prince Harry and Meghan planning to move once the royal baby arrives? 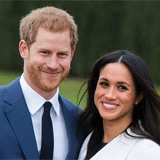 According to reputable UK newspaper, The Sunday Times, Harry&apos;s advisers are planing a..
Cape Town - Are Prince Harry and Meghan planning to move once the royal baby arrives? According to reputable UK newspaper, The Sunday Times, Harry's advisers are planing a "bespoke" role for the royal.. The 12th video in our 'Royal Baby Countdown' series shows Prince Harry dressed as a shepherd ahead of his school’s nativity play in December 1988 Report by Avagninag. 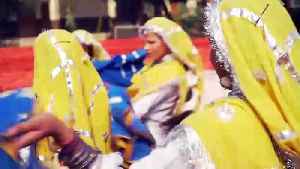 Like us on Facebook at..
Newly-released footage shows the Duchess of Sussex's charity work in India the year before she married Prince Harry Report by Avagninag. 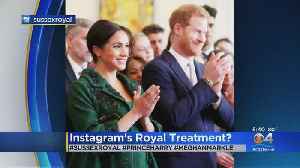 Like us on Facebook at http://www.facebook.com/itn and follow us..
Entertainment Tonight is reporting that Meghan Markle’s ma, Doria Ragland, has arrived in London which of course means that Baby Sussex’s arrival is imminent. Seems like a good time to talk about..
Meghan Markle and Prince Harry may be gearing up to leave behind Britain after the birth of their firstborn. There’s a rumor floating around that Prince Harry and Prince William didn’t speak at all during Easter services on Sunday (April 21). A new video has surfaced showing a different story, however,.. 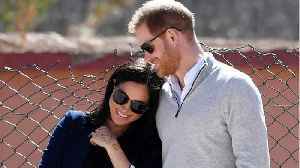 The Sunday Times reported this weekend that there are plans in place to send Prince Harry and Meghan Markle, the royal “rock stars”, abroad for a few years. Canada and Australia were apparently.. Even Easter couldn't warm up the cooling of Prince William and Prince Harry's once-close bond. 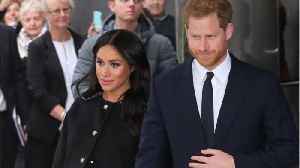 If there’s one person who could have easily identified with the pressures Meghan Markle is enduring as the world waits for the arrival of her baby, it would have been her mother-in-law, the late..
Before the world anticipated the arrival of Meghan Markle’s royal baby, her late mother-in-law Princess Diana of Wales, privately struggled as a new mom. If you can't wait for Prince Harry and Meghan Markle's baby to be born, enjoy looking back at these historic royal births, from the 1940s to today. 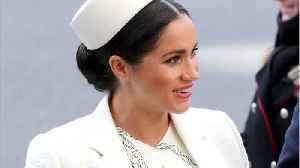 Duchess Meghan's American royal baby will be unprecedented, but she and Prince Harry aren't answering all questions, including where it will be born. In related news, a source reveals why the Duchess of Sussex will be opting out for a photoshoot with her and Prince Harry's newborn child immediately after giving birth. Welcome back to another episode of What’s Your Drama! On today’s episode we have special guest - co-anchor of eTalk, @Danielle Graham! 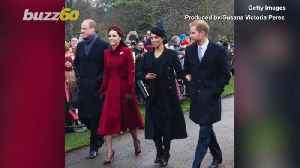 A colleague, friend and all around amazing human, Danielle..
READ: Prince Harry & Meghan Markle Make Surprise Appearance To Honor New Zealand Shooting Victims [caption id="attachment_537835" align="alignnone" width="5472"] LONDON, ENGLAND - MARCH 01: Prince..